Blue Ribbon Companies are those AFA companies that demonstrate the highest ethical and professional standards in our industry and that are actively engaged for the advancement of the profession. A Certified Automated Gate Operator Installer is nationally certified by the American Fence Association in conjunction with the Institute of Door Dealer Education and Accreditation (IDEA) and the Door and Access Systems Manufacturers Association (DASMA). Fence and access control professionals can be certified by passing a rigorous exam after completing a self-study course and meeting the two years’ field experience requirement. 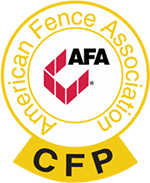 The highest professional certification in the industry, a Certified Fence Professional undergoes a rigorous certification program and demonstrates an ongoing commitment to quality products and improving standards within the fence industry by gaining a sound technical knowledge. The American Subcontractors Association, Inc. encourages responsible conduct through adherence by subcontractors to the standards of practice. These standards represent subcontractor obligations, which also are sound business practices that prove to be in the enlightened self-interest of prudent subcontractors. 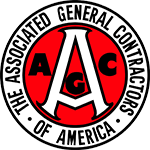 Associated Builders and Contractors (ABC) is a national construction industry trade association representing more than 21,000 chapter members. Founded on the shared belief that construction projects should be awarded on merit to the most qualified and responsible low bidders. ABC Mississippi was founded in 1973 and is positioned as one of the largest ABC chapters in the nation. The Home Builders Association of Jackson was chartered in 1946. Over the years HBAJ has grown to become one of the largest local trade associations in the South, representing not only home builders and remodelers but also manufacturers, service providers and other services connected to the building industry. The Mississippi State Board of Contractors is the contractor licensing authority for the state and is comprised of ten members appointed to staggered terms by the Governor. The Board members select the Executive Director for the agency and are responsible for setting policy for the licensing standards. We partner with a variety of product manufacturers, each carefully selected for quality and reliability.